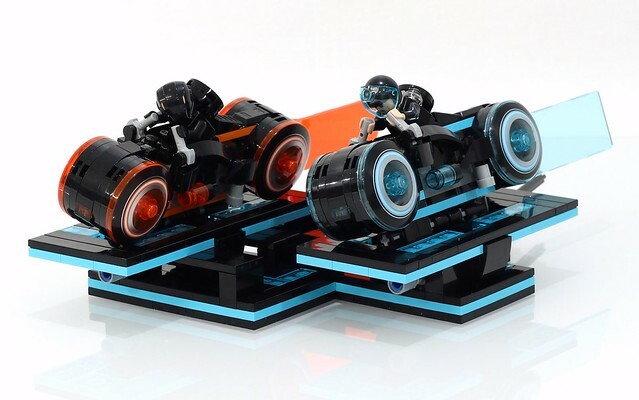 The LEGO Ideas Tron Light Cycle set is pretty nifty (even if the movie was a let down). But once you've built it the action is sorta over right? I mean they just sit there stuck to their base. Not nearly as exciting as the movie right? Well consummate tinkerer and all around mechanical wizard JK Brickworks wasn't satisfied with that, so he designed a dynamic display for his cycles, and he's shared how on his website. Support BrickNerd by shopping with these links! Got a MOC you want to see featured on BrickNerd? Got some hot LEGO news? Let us know! BrickNerd is not associated with The LEGO Group.